This week saw the stars of CBeebies animate series, Q Pootle 5 land on DVD. For those of you that haven't heard of Q Pootle 5 before, it is based on the best selling books written by a favourite author of mine, Nick Butterworth. My 6 year old daughter is huge fan of the programme, she didn't realise that there were books to read too until recently (these have already been popped on her list to Santa), she loves it that much that she wrote her own little Q Pootle 5 story last year. The programme itself is fun and it manages to engage all of my daughters, making it fantastic for a wide range of kids. You can join Q Pootle 5 along with his friends Oopsy, Eddi, Stella, Ray, Groobe, Planet Dave and Bud-D on their many adventures as they tackle all those day to day problems of the final frontier. 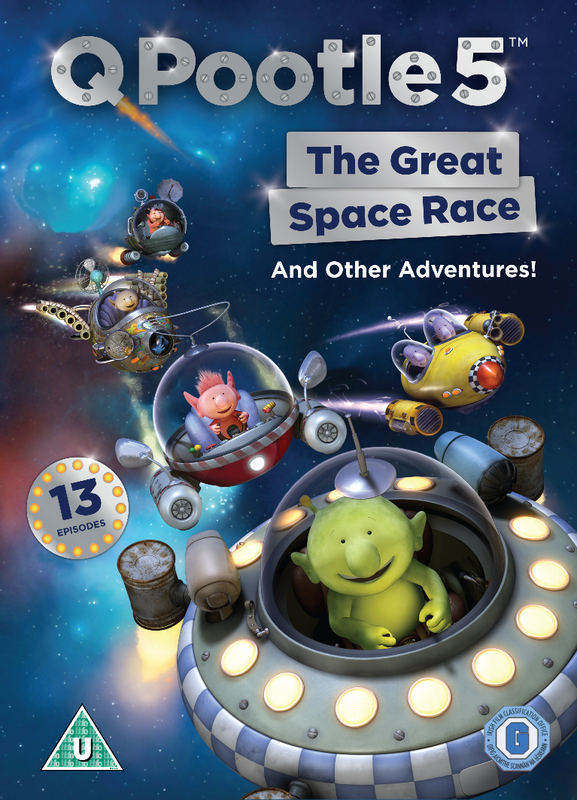 To celebrate the release of the DVD, The Great Space Race and other adventures, I have been given a copy to give away to one lucky reader. To have a chance of winning, simply fill in the rafflecopter form below. The giveaway is open to UK residents only and will end at 11.59pm on the 30th October 2014. Make sure to enter correctly as all entries will be checked and verified. My girls watch Frozen again and again! They also love Peppa Pig! Peppa pig and doc mc stuffin! Peppa Pig with Ben and Holly a close second! Peppa Pig and Topsy & Tim rule in our house. Thomas the Tank Engine... Obsessed! Peppa Pig is usually on when I visit my granddaughter. Peppa Pig without a doubt! My older two love Horrid Henry and the baby loves mr Tumble!!! !